Woodhouse Beach Resort is situated on the seashores of the magnificent beaches of Varkala, south kerala. Woodhouse Beach Resort provides a panoramic view of the setting sun, the lashing waves, the coconut orchards, the fishing boats & the anglers at work. The cottages of woodhouse provide a mouth-watering view of the scenic beauty of the Mother Nature. Tourist can enjoy a walk on the beach cliffs and enjoy the freshness of nature, sun bathing enthusiasts will have there wishes cherished on the silky beaches around resort. The holiday cottages of woodhouse provide privacy and comfort at affordable prices & provide all modern amenities of life for making your vacation at varkala memorable. Woodhouse provides ayurvedic treatment for rejuvenation and stress relief. Woodhouse preserves the ayurvedic heritage of kerela and provides packages that suits personal needs of visitors. Woodhouse provides the tourists a perfect blend of modern and traditional living. It has array of traditional huts made of palm leafs, bamboo and wood. These tourist huts are well furnished with all the basic amenities of life. For the ultra modern, kind of people they offer air-conditioned dormitories, these dormitories are provided with latest in entertainment and luxury. The apartments of WoodHouse provide privacy and provide a calm and serene environment suitable for fun and relaxation. At woodhouse beach resort you find your self in the lap of mother nature, its proximity to sea and its calmness will surly entrap you. People from all over the world have found a new charm in AYURVEDA. When people look forward to kerela for its ayurvedic treatments woodhouse cannot be far behind. 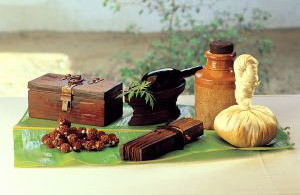 Woodhouse beach resort offers its patrons the best ayurvedic treatments in its traditional form. Ayurvedic treatments detoxify and rejuvenate and several people have been benefited by the ayurvedic resort at woodhouse. Woodhouse beach resort provides site seeing and travel packages to visit other tourist destinations. Regular trips are arranged to places like kovalom beach , ponmudi hillstation, agastiyar gudam hill station and wildlife sanctuary and other tourist destinations in Trivandrum (Thiruvananthapuram) and Kollam districts of Kerala. Travel guides and a fleet if cabbies are at your service to take you to a journey through Kerala, the heart of the green Venice of southern India.